We’re delighted to offer you chance to win a FREE wedding dress. One bride will win the chance to choose a gown from our Alesandro Rossi or Bianco Evento range. The gown you choose will be ordered and made especially for you in any size from 6-30. If you have already bought, or do buy, your perfect dress with us since 1st Jan 2019, you’re still eligible to enter, and if you win, you’ll get your money back on the cost of your dress. Why not come and see our range of beautiful dresses now and pick the one you’ll choose if you’re our lucky winner. * Competition Closes Thursday 28th February at midnight & the lucky winner will be drawn at random and notified by email by Monday 4th March 2019. * Excludes made to order Amanda Wyatt and Charlotte Balbier dresses. * Bianco evento dresses only available up to size 18/22 depending on dress style. * By entering you are agreeing to subscribe to our newsletter. You can unsubscribe at any time. 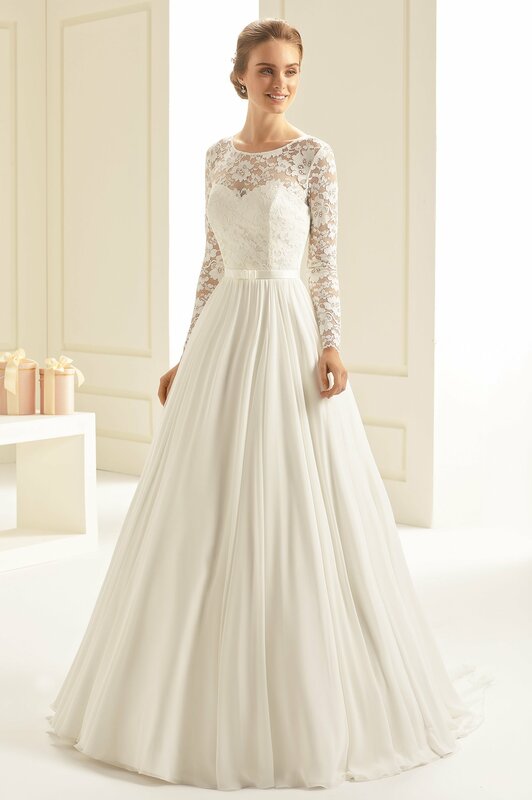 * Dress must be chosen from our Alesandro Rossi and Bianco Evento range, or Amanda Wyatt and Charlotte Balbier off the peg range, up to a maximum retail value of £1199. * Dress can be chosen at either our Liverpool or Chester store. * Dress must be chosen or ordered by 30th March 2019. * Normal in store t’s & c’s apply. * Any alterations needed must be arranged and paid for by the prize winner, although Copplestones can recommend seamstresses if required. *There is no cash alternative in whole or in part of the prize. The prize is non negotiable and non transferable.